In times of sorrow, trial, loss, or tribulation it can be helpful to turn to the Psalms. Came across this verse today: Psalm 75:8-10 For in the hand of the Lord there is a cup, and the wine is red; it is full of mixture; and he poureth out of the same: but the dregs thereof, all the wicked of the earth shall wring them out, and drink them. But I will declare for ever; I will sing praises to the God of Jacob. All the horns of the wicked also will I cut off; but the horns of the righteous shall be exalted. The Big Dipper points to the North Star, the one star in the heavens that never moves...all the other stars revolve around it. The Egyptians called the North Star “The Nail”, which anchors the heavens, allowing all other heavenly bodies to pivot around it. 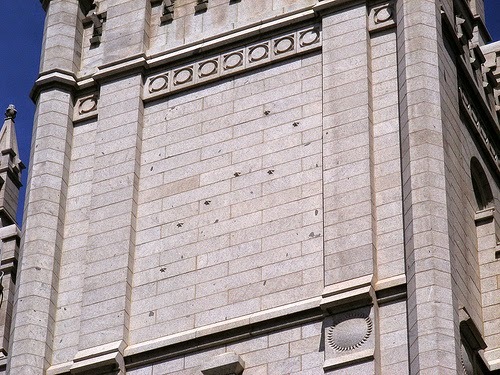 The nail also has reference to the crucifixion and atonement of Jesus Christ. 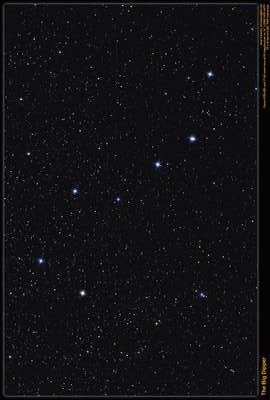 The Big Dipper is made up of seven stars. The number 7 is very common in the scriptures. Seven represents perfection or completeness. In the beginning there are seven days of creation and at the end there are seven seals in the Book of Revelation. We are to forgive seventy times seven (limitless forgiveness). There were seventy elders in Israel. There were seven feasts ordained of the Lord. There have been seven dispensations...from Adam, to Enoch, to Noah, to Abraham, to Moses, to Jesus Christ, and to Joseph Smith...all these then point to the North Star, representing Christ, who is immovable, eternal, complete, perfected.